More articles on the same theme will be published in the coming volumes during the rest of the year. If you are interested to contribute, please get in touch with the editorial team. 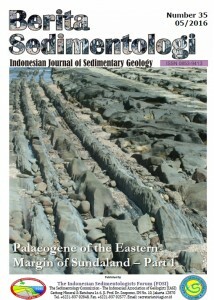 – Structural development, deposition model and petroleum system of Paleogene carbonate of the Engkabang-Karap anticline, onshore Sarawak by John Jong et al. – Excursion report to Kepulauan Seribu by M.T. Gandraprana et al. We hope you enjoy reading this publication. Berita Sedimentologi No. 33 is now available online and can be downloaded by clicking the cover image above or click here. Due to file size limitation, we can only upload the lower resolution version onto this website, if you need the higher resolution one, please contact the editorial team. We hope you enjoy reading this volume and please feel free to contact the editorial team if you have any comments or if you’re interested to contribute in the future. Berita Sedimentologi No. 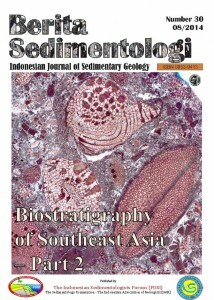 31 with special issue on Biostratigraphy of SE Asia is now available online. 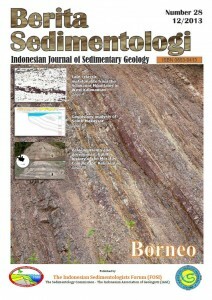 The journal can be downloaded by clicking either the link or cover image above. 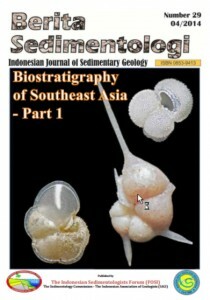 – Planktonic foraminifera biozonation of the Middle Eocene-Oligocene Kebo Formation, Kalinampu area, Bayat (Klaten, Central Java) – by D. Novita et al. – Short biography of Dr. Tan Sin Hok, one of Indonesia’s pioneer paleontologists – by Munasri & J.T. van Gorsel. 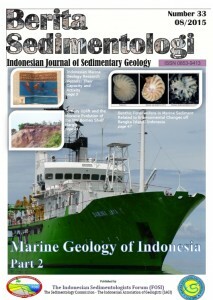 – Some student articles and a book review on the geology of Misool Archipelago. We hope you enjoy reading this volume. The age and provenance of the Globidens timorensis holotype – M. J. Koevoets et al. – M. Hendrizan et al. 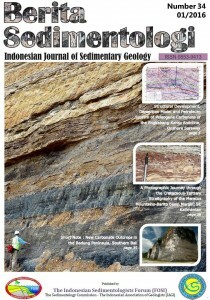 A revision of the biostratigraphy and strontium isotope dating of Oligocene-Miocene outcrops in East Java, Indonesia – E. F. Sharaf et al. 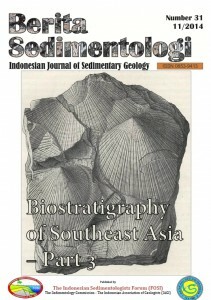 Berita Sedimentologi #29 comes with a supplement which contains Annotated Bibliography of biostratigraphy and Paleontology of Indonesia – SEAsia. Total of 337 pages of references. 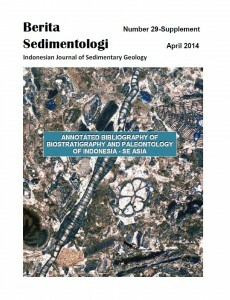 Introduction to Cenozoic biostratigraphy of Indonesia- SE Asia – J.T. van Gorsel et al. Recent agglutinated foraminiferal trends and assemblages of the Sedili Besar River and its adjacent offshore area, Southeastern Peninsular Malaysia – M. Mohamed et al. 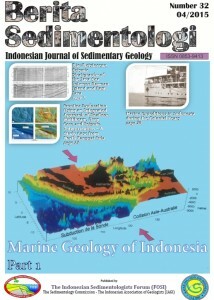 Indonesia – D. Kadar et al. Stacked digital imaging of foraminifera – P.
Click here to download the full volume. Berita Sedimentologi No. 28 on Borneo can be downloaded. Click the cover below. – Report on A Field Trip to the Syn-Rift Petroleum System of Central Sumatera by Andrew Carnell et al. 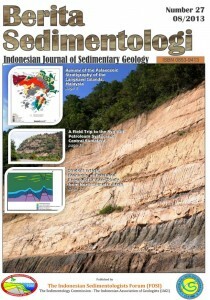 – Two student articles on Economic vs Fractured Basement: A Case Study from North Sumatra Basin by Ignatius Primadi and Depositional Environment Analysis of Kali Banyumeneng, Mranggen, Kabupaten Demak by Samuel R.N. Simorangkir et al. We hope the publication will be useful to all our readers and if you have any comments, please contact the editorial team.